The Minister of Culture of Latvia, Mrs Sarmite Elerte, formally inaugurated the three week course. Speaking at the occasion, Mrs Elerte congratulated ICCROM and its partners for organizing the SOIMA course in the Baltic region, known for its varied and rich sound and image heritage. During her address the Minister officially announced Latvia’s intention to join the ICCROM family of Member States and strengthen professional exchange in the region. SOIMA 2011 is organized in partnership with the Baltic Audiovisual Archival Council (BAAC) in cooperation with the National Archives of Latvia, the University of Latvia, the National Library of Latvia and the Central State Archives of Lithuania. Tailored to the day-to-day challenges encountered by professionals in institutions such as archives, cultural centres, museums and libraries, SOIMA training provides an understanding of audiovisual materials and the paradigm of transferring the content on to various carriers. The three-week course featured a variety of learning activities including hands-on sessions on digitization, digital preservation and audio-video recording of a live folk performance. 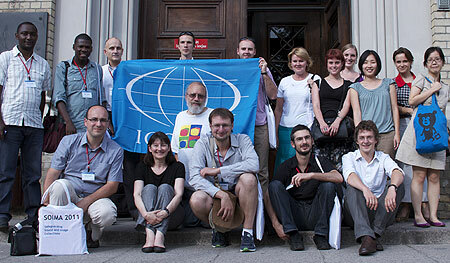 The second week of SOIMA was held in Vilnius, Lithuania and the course was conclude in Riga, Latvia.